Census 2020 Series- Who is counted? 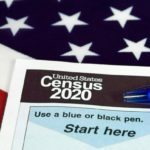 Census 2020 Series- What is the Census and why is it important? Check out our 1st video blog in our new series- Why the 2020 Census is important to all of us!